Do you sit down at your desk, look out the window and forget what you were originally doing? If so, then you need help with trying to stay focused when you are at work. 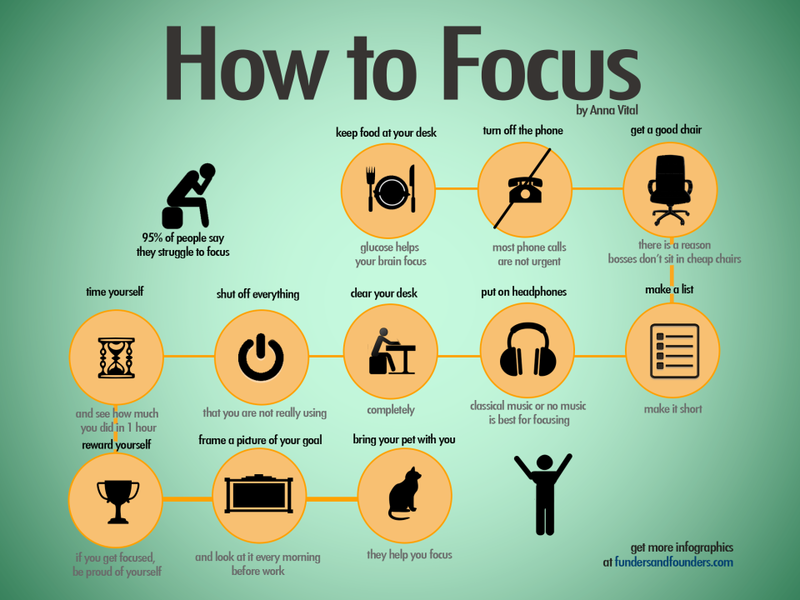 When in the office 9-5, it can be difficult to keep your concentration and focus on your tasks. However, everyone at work wants to be able to have a productive day and to be able to motivate themselves and others to be the best they can be. In order to have a successful and fulfilling day at work, you need to make some changes in your daily routine, even if they are only small ones. Turn off your phone so you do not get distracted. Get a good chair so you are comfortable. Clear your desk so you can see everything clearly. Keep food and your desk, glucose helps your brain focus! Make a list, but make it short so it is easy to follow. Frame a picture of your goal and look at it every morning before work. RELATED: How Much Time Do You Waste at Work?